Where do you want to visit at DeSoto? And if you are looking for a relaxing, easy and safe way to ride from one destination to another you can certainly count on charter bus DeSoto, TX. This is where you will find worthwhile destinations for a single traveler to a visitor with a huge group of people. If you are looking for fun then there are perfect places to go to. If you are looking for adventure then there are also spots to check out. Call (214) 206-9269. Why choose charter bus DeSoto? Only charter bus DeSoto, TX has all the amenities needed by any traveler. There are super comfortable seats, plenty of leg room, top of the line audio and video equipment, great uninterrupted views and an experienced professional driver to keep you safe and secure as you travel. You can also count on your driver to be your tour guide to take you to different places in DeSoto. This would certainly come handy especially if you are new to the city. Are There Different Charter Bus Rentals to Choose From? 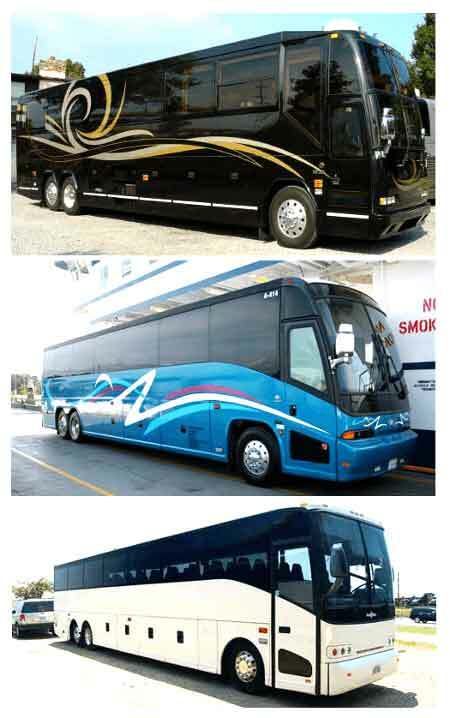 There are a number of charter bus rental service vehicles to choose from. If you have only 20 people in your group, you can rent out their minibuses for a day or two. If you have 30 people, you can rent their shuttle buses. And if you have 40 to 50 people in your group then a charter bus will fit you nicely. For groups that want to celebrate, we have the best party buses in DeSoto! Make a reservation now, call (214) 206-9269. What are tourist attractions to visit in DeSoto? Windmill Hill Nature Preserve – this is a wonderful natural reserve where you can simply take a day off. Take a stroll, have a picnic, walk hiking trails and get to know different species of plants and even local animals that call this their home. Truly a wonderful place to check out in DeSoto. Helicopter Experience – this is a chance to experience helicopter flight with professional pilots. This is a special tour where you can get to survey the entire area by air and of course check out places that are unreachable by land. Be sure to make a reservation first. Real Time Sports and Entertainment – take the entire clan along and have wholesome fun here at Real Time. Have a contest or be the best as you play indoor games, video games and sports. This is also a perfect chance to unwind and to simply have fun. What are bus rental rates DeSoto? Rates are different according to the type of bus that you want to rent, the number of people that you have in your group, the destination or destinations that you will visit and of course the number of days that you will take the ride. It is recommended that you call charter bus DeSoto so you can have an accurate rate at hand. Charter buses don’t just serve DeSoto but also nearby cities such as Addison, Arlington, Balch Springs, Carrollton, Dallas, Duncanville, Farmers Branch, Houston, Irving, Lancaster or Richardson.